Intuition & Logic was the civil engineer subconsullant for SWT, project landscape architects. 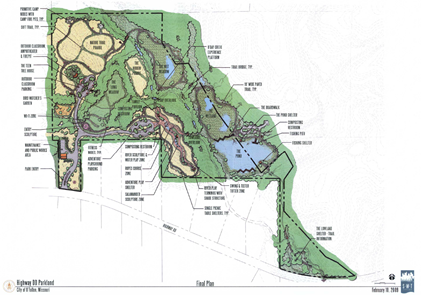 The city of O’Fallon needed park masterplanning services in addition to assistance with jurisdictional determination and quantifying the effect of roads, parking, trails and amenities on potential project mitigation plans. A large local development company that was planning a mixed use development adjoining the park and the developer wanted to use park property as mitigation for the development. 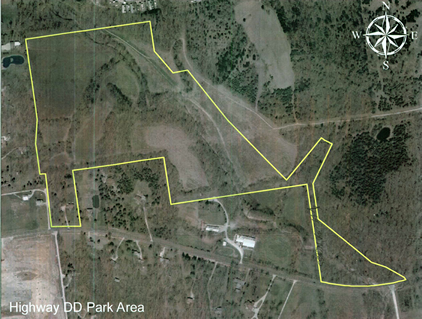 The I&L, SWT team helped the city negotiate deed restricted areas and variances with the US Army Corps of Engineers. The variances allowed for the planned park amenities throughout deed restricted areas. The team also helped the city clarify, quantify and negotiate the land remaining and available to the developer for possible deed restriction as part of the development mitigation plan. Park amenities included park circulation roadway system, parking lots, 7,800 square feet of boardwalks, 3 bridges, camp sites, signage, paved scenic overlooks, pavilions, 8,700 linear feet of paved trails, playgrounds, restrooms and 4,200 ft of soft trails.